Portland Traction Company 4001 is a lightweight, double truck, steel car built for suburban operation by the Kuhlman Car Company. It is currently painted for its original owner, Indiana Railroad. The car features twenty leather covered walkover seats and minimal mahogany wood trim around the windows. It is typical of the construction used in the electric railway industry from about the end of World War One to the beginning of the streamlined era in about 1930. 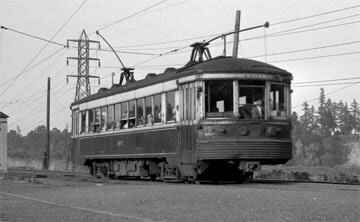 The car was powered from an overhead trolley wire carrying 600 volts of direct current. Portland Traction 4001 was built in 1926 by the Kuhlman Car Company of Cleveland, Ohio as part of an order of six cars, Interstate Public Service Company 261-266. At this time Kuhlman was a subsidiary of the J. G. Brill Co. of Philadelphia. Car 4001 was built for the Interstate Public Service Company as their 262 for use on its suburban lines in the Louisville, Jeffersonville and New Albany area. These cities are located in Southern Indiana and Northern Kentucky along the Ohio River. In 1929 a new municipal highway bridge opened across the Ohio River between the Louisville and Jeffersonville. This afforded bus competition a shorter route than the Interstate Public Service suburban operation and it was discontinued. The Indianapolis interurban continued using this route. Indiana Public Service cars 261 to 266 had specially reinforced end bumpers for additional protection for use on routes where standard interurban cars were also used. These cars proved not to be well suited for mainline service and were little used after the 1929 abandonment of the suburban operation. Reorganization resulted in Interstate Public Service Company becoming part of the Indiana Railroad in March 1931. 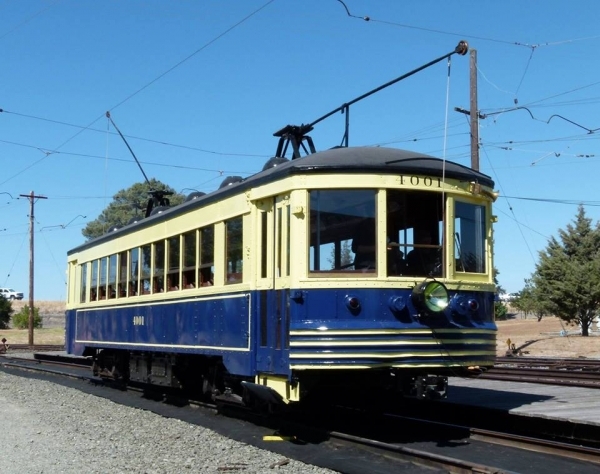 The Terra Haute Traction and Light Company became part of the Indiana Railroad in July 1931 and the six Kuhlman cars were transferred to Terra Haute for use on city lines in 1936. The cars went to Anderson shop for minor changes, repainting and were renumbered to Indiana Railroad 200 to 205. Terra Haute was the largest city property operated by the Indiana Railroad. It was exclusively Birney car operated until the arrival of the Jeffersonville cars. The cars were transferred to Terra Haute from Jeffersonville in two three-car trains. They were used on the South Seventh Street line in Terra Haute. In December of 1938 an agreement was signed with National City Lines for the purchase of the Terra Haute city lines. 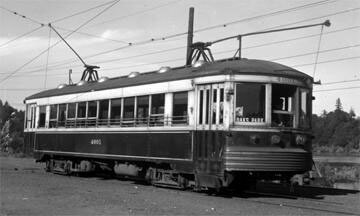 NCL was interested only in bus operation and all streetcar service was discontinued on June 3, 1939. The six Jeffersonville cars were sent back to Scottsburg Shop for storage. 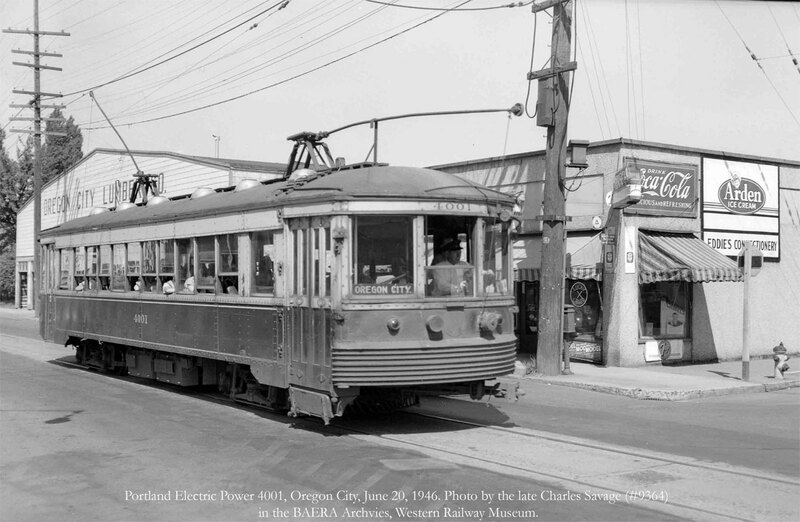 The cars were sold to Portland Traction Company, which was part of Portland Electric Power Company (PEPCO), in 1940. The six cars were shipped to Portland, Oregon on flat cars. The traction orange paint of the Indiana Railroad gave way to Portland Traction’s Blue and Cream paint scheme and the cars were renumbered to 4000 to 4005. They went into service on the Oregon City and Gresham routes in 1940. That same year car 4000 was involved in a wreck with one of Portland Traction’s large wooden interurban cars and it was scrapped. The remaining five cars remained in service until the end of passenger operation in 1958. By then the cars had been repainted in to Portland Traction’s cream and maroon paint scheme. Two of these cars survive today. The 4001 is at the Western Railway Museum, and the 4005 is at the Illinois Railway Museum. Car 4001 arrived at the Western Railway Museum in November 1960. It was the first car at the Museum. Owners: Portland Traction 4001. Interstate Public Service Company 262. Indiana Railroad (200-205). Technical Data: Lightweight steel suburban car. Built by Kuhlman Car Company, Cleveland, Ohio in 1926. Seats 52 passengers, one operator. Total car weight, empty, 40,200 pounds, trucks, each 5010 pounds. Trucks: Brill 177E1X. Wheels, 28-inch diameter. Axle, 4”. Journals, 3 3/4 X 7 plain bearings. Traction motors, 4-40 horsepower @ 600 VDC, inside hung. Air Brake Equipment: Westinghouse Traction Brake, SME. Motorman’s valve, M-28D. Emergency valve, K-1. Relay valve, Type E. Double check valve, #15. Brake cylinder, 12 X 12. Main reservoir protection valve. Dead man on controller and foot valve. Air compressor, Westinghouse Air Brake DH-16. GE CP-25 added in Portland. Dimensions: Extreme width, 8’ 6”. Length over buffers, 45’ 6”. Truck centers, 23’ 0”. Truck wheelbase, 64”. Propulsion Equipment: Westinghouse Electric and Manufacturing, type HL. Master controller, 15B14. Switch group, 806 unit switches. Reverser, 184-A. Circuit breaker, 371-C14. Traction motors; originally, WE&MCo. 4-510E, currently GE 4-247. Control switch, TC-2 with pneumatic trip. Power resistors, 8” 3 point. MU plugs, 12 point. Misc Data: Couplers, Tomlinson hook style. Heaters, Consolidated Car Heating. Trolley wheel, 6” Kalamazoo. Trolley base, US 13. Air horn, air bell. Current Condition: The car is complete and in good condition. It is not in regular service due to the worn out condition of the trucks and traction motors, but is operational. Proposed Future Treatment: The car is to be returned to its Portland Traction appearance. The trucks and traction motors need to be rebuilt.